Now in stock is the 2018/19 Shirt Key Ring. 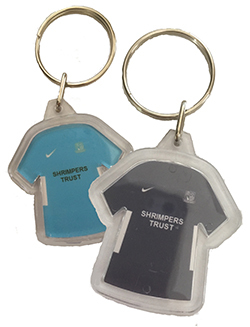 This two sided football shirt key ring is in the SUFC home & away colours for the 2018/19 season with the Shrimpers Trust youth team shirt logo. Priced at £1.50 the Key Ring can be purchased from our online shop by clicking here or from the Trust Information Stand in the Shrimpers Bar prior to any home game.